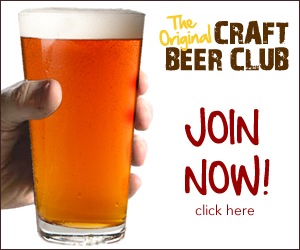 Craft Beer America is our journey to see all or most American made craft breweries. Why, because it’s our second passion right after travel so we decided to combine our two favorite passions and turn our craft beer America into a journey of a lifetime. J.R. and I met for the first time at a local craft brewery on a random Wednesday afternoon. After talking for a few hours we realized we both had one major thing in common, craft beer! When you meet someone who also has a copy of The Beer Bible , you know its a sign! We love trying everything and experiencing how our palates change/grow with everything we taste. Craft beer taste changes with the foods you eat, the hop varieties, malt varieties, fruits and so much more! We decided when we started this traveling idea that we would blog about every brewery, winery and distillery we traveled to. Particularly the Dogfish Head 75 Minute IPA which is a blend of Dogfish Head’s two year round main stream craft beers, 60 minute and 90 minute. Dogfish Head is JR’s favorite brewery and is located in Milton, Delaware only 40 minutes from our hometown. This great craft brewery has been around since the mid 90’s and has prospered the most on Delmarva thus far! Particularly the 3rd Wave SandStorm Belgian Tripel which is filled with Mt Hood hops and sweet Belgian Rock candied Sugar. It’s also 9% in alcohol so that doesn’t hurt either! This is another Delaware brewery that opened in the 2012 and is owned by females which really inspires me! This brewery is young the beer is stable and delicious, always making me come back for more. Are We Craft Beer Connoisseurs? I can definitely say we are not craft beer connoisseurs because there is always something new to learn and taste. You can say we have a passion for craft beer and like to challenge our palate whenever possible! Anyone can learn reading, to tasting and exploring the many breweries that are available to us just in America. Why is this part of our Travel Goals? With the rise and growth of so many micro breweries, single vineyards and small distilleries we have to ride the wave and taste for ourselves while these businesses are actively creating. You can follow our journey and learn our favorites at each place. Most of all we are looking forward to looking back on these posts to remember our experiences. I’m happy I found your blog, I’m interested to learn something about how to craft beer at home, so you can say I will follow your blog. Every journey start on the first day and I’m sure you’ll get many interesting stories to tell us about your travels and about places we could visit to find a good home made beer to taste. I will looking forward to read more from your blog. Thank you so much! I am glad to see your interest in craft beer and wish more people would take the time because it is so intricately made and takes hard working minimum wage workers to make it! I can’t wait to have more blogs for you! Thanks so much! Yeah I learned a lot from that book and it’s easy for anyone who doesn’t even know much about craft beer!